A central mandate of modern society is to protect its most vulnerable citizens from preventable and undue suffering. An election is a good time to remind political candidates about this fundamental aspect of democracy. 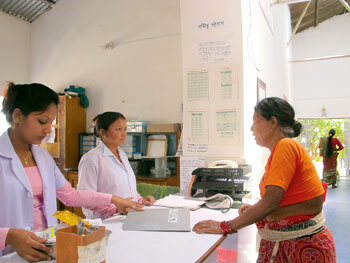 In the healthcare industry in particular, Nepal often falls short in responsive, patient-centred, and effective services. This is particularly true with government and non-profit sectors. 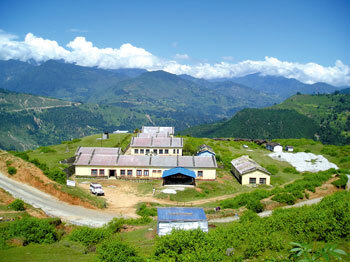 Our own organisation, Nyaya Health (pic, right and below), which manages a government-owned facility in Achham that was recently awarded the ‘Best Hospital in Nepal’ title, struggles with such basics as unacceptable wait times, unclean toilets, stock outs of medications, unreliable electricity, and a lack of specialty services. 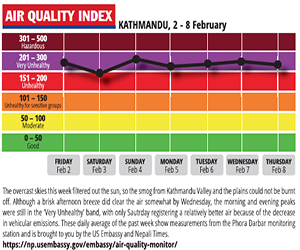 Despite our every effort, it is rarely sufficient to meet our ambitious mission of providing evidence-based, dignified, effective care to some of Nepal’s most marginalised patients. Nepal is at a critical and exciting moment in the possibility of making good on the promise of health to the poor. Enshrined in the recent interim constitutional law and policy have been some of the globe’s most progressive, pro-poor ideas. Yet we struggle to implement, to move from paper to patients, from declarations to actual lives saved. Simply put, when we in healthcare deliver substandard medical care, we should pay a price. Recently, the Ministry of Health has tried to expand public-private partnerships and increase their accountability by tying funding to performance: linking a portion of funding contractually to how a hospital performs on pre-determined health metrics. 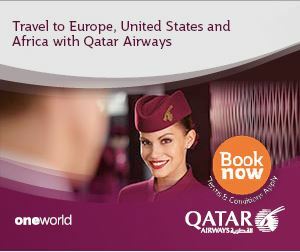 These contracts have been used with some success in India, Brazil, Rwanda, Cambodia, Pakistan, and the United Kingdom. Traditionally, hospitals and health institutions have been allotted funding and are evaluated based on inputs or outputs. For example, a hospital may be given money to stock its pharmacy with medicines, to build a new surgical ward, or to buy a new ambulance. Outputs may include number of patients seen, given a certain intervention, provided a certain diagnostic test, and prescribed a certain antibiotic. Though these volume-based metrics tell us something about the total number of patients an institution sees, they reveal little about what actually matters to the public: public health impact. An important shift in thinking about healthcare facilities is to go from ‘volumes’ to ‘outcomes’ and to answer deeper questions about impact. Did patients actually get better? How deeply did the intervention penetrate a community? Did it do so equitably? Were patients sufficiently followed up with rather than given medicines and sent on their way? In addition to providing a shift in thinking at the facility level, outcome based metrics serve to change the opinions of healthcare providers as well. Staff such as nurses and healthcare assistants take care of their patients on a case by case basis, but often cannot see how their work factors into a larger picture. By tying together funding with the well-being of a community, performance based financing will bring together teams of healthcare providers to give the best care for the area they serve. For instance, while community health workers, doctors, and nurses might not have much in common under the normal system of payment, when there is a common goal to achieve that both groups must strive for, their work will be more integrated. This will improve the quality of care for both individual patients and the community as a whole. The initiative set forth by the government is to be congratulated for its vision of incorporating evidence-based practice into public-private partnership contracting. We believe this vision will help move health services towards higher standards of clinical excellence and accountability. Duncan Maru, MD, PhD, is co-founder of Nyaya Health and Shree Ram Tiwari is Consultant Physician at Bayalpata Hospital in Achham. Greg Zhang of Tufts University helped with researching this article. Nepal has managed to halve the number of women dying during childbirth in less than two decades. The number of deaths per 100,000 live births in Nepal dropped from 539 in 1996 to 229 in 2008 making it one of the very few countries on track to meet Millennium Development Goal 5 on maternal health before 2015. Researchers at the Overseas Development Institute have called this a case of ‘globally remarkable’ progress and have said it was possible because of a virtuous cycle of political commitment, financial resources, and household changes that helped overcome significant challenges posed by its unique terrain. The reduction in maternal deaths happened despite a protracted insurgency and during a period when for the majority, household incomes did not increase substantially. The authors emphasise the role of high-level political commitment to maternal health, spurred on by a vocal advocacy community. Increased government expenditure and international aid dedicated to health, enabled widespread improvements in access to medical services, particularly in remote Nepal. This in turn contributed to a higher percentage of births attended by skilled health personnel and access to essential medicines such as antibiotics, which can help effectively treat infections that could otherwise prove fatal. Today, over 50 per cent of expectant mothers seek the recommended four antenatal visits, a fivefold increase in the course of 15 years. Part of the reason for this progress is a 48 per cent increase in female literacy in the past five years alone and the reduction of poverty from 68 per cent to 25 per cent in 15 years. 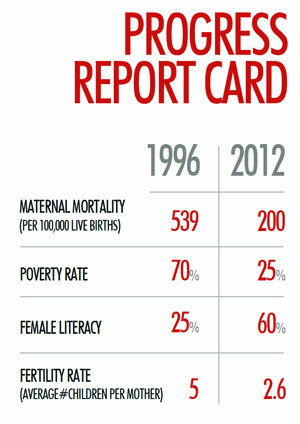 The fertility rate of Nepali women has dropped from six in the 1980s to 2.6 today. While significant challenges remain - including addressing inequalities, increasing community mobilisation to improve accountability, and maintaining the political and financial commitment to safer motherhood - Nepal’s story of progress can provide important lessons for other countries struggling to address high levels of maternal mortality, especially within a context of difficult terrain, conflict, and high poverty rates.